Time to get annoyed by Facebook Messenger? Do OTT really work in India? Mobile Web Vs Mobile App: Where should you invest for your marketing? Is It Time to Give Your Online Marketing a Tuneup? Inaugurating the first-ever global digital summit, #Future, Chief Minister Pinarayi Vijayan is all set to transform Kerala into a hub of knowledge companies. He believes the wide range of highly qualified and skilled human resources and the world-class physical and digital infrastructure which is available can attract the emerging knowledge companies in Kerala. He also hopes with #Future, Kerala will be able to connect and collaborate so as to enable a digital lifestyle for all in the State. The presence of robot on the stage gave the audience a new experience. #Future is the first ever completely digitised event in the State that has used mobile-based services for registration, entry and communication. During the programme, the Chief Minister also launched M-Kerala, a unified app for all government services. The Minister explained that State government has already set up 1,000 hotspots for Wi-Fi in Kerala and plans to increase this up by 1,000 every year. Kerala Electronics and IT Secretary M Sivasankar said that the State has identified some vital areas such as cognitive science, enabling financial services with block chain technology, data analysis, cyber security, electronic vehicle regime and leveraging space technology. There has been some drastic change in the setup of ola and uber. Everyone is using ola and uber for their transport. The market of ola and uber has also risen up quite well in recent time. Most people use ola and uber while going for work, party etc. The price of ola and uber is quite affordable and hence everyone uses it with great ease. Amidst the surge pricing, people use it because it’s totally worthful. 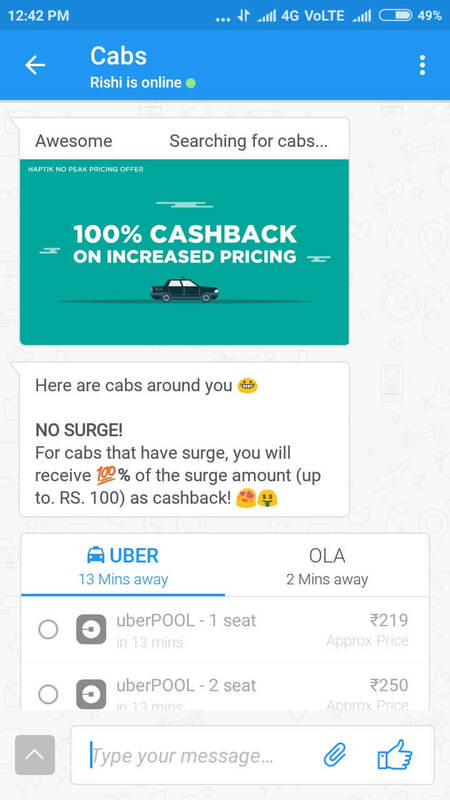 Ola and uber give certain coupons at the time of the festival. In this blog, we are going to talk about some tips and tricks we can definitely use it like a pro. If you are frequent cab user than it will be definitely helpful for sure. Less of us know that there are certain tips and tricks which you can use to make your ride cheaper rather than paying it two times more. OLA and UBER Hacks You Should Know: Frequent cab user should definitely use this tips and tricks which can help them book the cab with lesser price. You should all use this tips and tricks to use in ola and uber. Let’s get started. OLA and UBER Hacks You Should Know: This trick is for first time user where you can easily enjoy your first ride free without giving any buck for the ride. Sounds crazy right? So what are you waiting for if you haven’t used Ola or uber ever, just download the app and get the first ride free. As you might be knowing if you are a frequent can user that you get coupons and a whole bunch of discount when you refer your friends and he/she downloads the application from the link which you sent. What are you waiting for then, go and refer your friends and get discounts on your next rides. 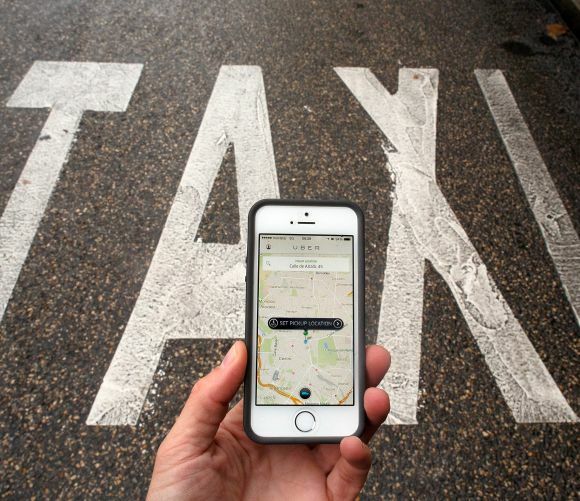 OLA and UBER Hacks You Should Know: This is cherry on the cake. If you have got a smartphone then you can easily make a new account after you log out from your old number. You just need to make a new account from your new number or new email id and enjoy some free rides and thank me later. OLA and UBER Hacks You Should Know: If you booked a cab and your driver arrived a bit late you can easily get the refund if your reason is genuine. After completion of your trip, let the customer care know about your experience and the reason you want the refund if it’s genuine you will get a refund for sure. OLA and UBER Hacks You Should Know: This tip is a very lesser known trick, so you can start using it right away. You just need to have patience while booking the trip and if you have that then definitely you are going to spend less buck. All you need to do is on the booking page try to refresh the booking 2-3 times. Most probably the third time you will get the cheapest trip. 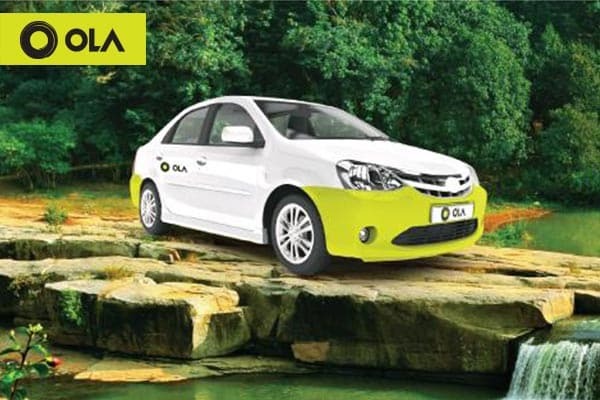 OLA and UBER Hacks You Should Know: What follows below is the list of ola cab offers exclusively for you only. But unfortunately, you cant use it on Uber booking. But don’t worry there are many uber tricks left which we will be discussing it in a while. There are many offers available all time that if you will pay the bill through Paytm or Freecharge you will get many discount and cashback. So don’t forget to pay the bill via Paytm or Freecharge next time. OLA and UBER Hacks You Should Know: If you are afraid of surge pricing than don’t worry download Haptik and get ultimate cashback on your trips. The user-friendly interface of Haptik makes it easy to choose between Ola or Uber. Phew! that’s all about tips and tricks of ola and uber. So what are you waiting for use this tips and tricks while booking ola or uber next time. Do tell us any other tips and tricks if you have come across in recent times. Comment in the comment box below. We will be happy to hear from you. Thugs of Hindostan is prepping up to hit the screen in this Diwali where the film team took an innovative way to make the promotions of the film as interesting as possible. Now you can drive to work, to the market, or to the movie theatre along with Aamirkhan firangi character on Google Maps navigation App. The Yesh Raj Film is collaborating with Google Maps to promote its biggest movie that has been made on a budget of close to Rs 300 crore. This is for the first time ever that Amitabh Bachchan and Aamir Khan are working in a film together. Where this cool feature is now available in worlds preeminent digital mapping software Google Maps which will have the option to navigate using ‘Firangi Mallah’, Aamir Khan’s character from the upcoming movie. This feature will be available on Android and iOS for the next couple of weeks. We are truly excited to bring a first-time India-specific entertainment experience to Google Maps in India. As nowadays people are now more gear up for Diwali and to watch Thugs of Hindostan, we wanted to do our bit by making their driving journeys more fun and playful. We also all want to wish the movie every success,” said Neha Waikar, Product Manager, Google Maps in a statement. This feature availability starts from today, users will have the option to drive along with Aamir Khan’s character from Thugs of Hindostan as you navigate using Google Maps on your Android or iOS smartphone. To get started, users will need to first update their app from Google Play or the App Store. In case you choose to use ‘Firangi’ for navigation purposes, the familiar arrow will be replaced by the character on his donkey, which is apparently his favourite mode of transportation in the movie. Google has also enabled the catchy dialogue from the movie as the voice commands, such as this popular one, “1,2,3…quick march”! “It’s not only just the biggest Bollywood movie which is as of now produced till date but also for the first time ever brings together the two legends of Indian Cinema, Mr Amitabh Bachchan and Mr Aamir Khan. We were aware that no marketing idea that we implement can eclipse this. “So we had to think of creating a first time, that is of both the unparalleled and unrepeatable marketing idea to promote this film. And in Google Maps we found a perfect partner to do so,” Manan Mehta, Vice President – Marketing and Merchandising, YRF, said. The movie hits the theatres on November 8, 2018, with starring Amitabh Bachchan, Amir Khan, Katrina Kaif and Fatima Sana Shaikh. So all the fan of TOH update your app if you want a thrilling experience with your navigation app. Creating US Apple ID isn’t a daunting task. You can easily create a US apple id by following the steps which we are going to discuss in this blog. Apple ID is must for every iPhone device and hence we should make it as soon we have an iPhone device. Apple ID is must if you want to have the service of iTunes, iCloud etc. In this blog, we will be talking about how to create a US Apple ID for free from any country. Every mobile application comes to a certain region only. Every mobile application is not available for every region. While downloading some mobile application you might have seen a popup “this application is not available in your region” when you click on “get” while trying to download the mobile application. You can easily eradicate this problem for free. All you need to do is just create a US apple id from any country. This will help you to have access to any mobile application across the world. Create US Apple ID For Free: Creating a US Apple id it involves various steps. What follows are the steps to create a US Apple ID from any country. Go to iTunes and search for the Account sections. Once you are in the account section search for the logout key if you have logged in from your account. Now after log out you will see an option “Create New Apple ID”. Now fill out the credentials as asked. When you reach the Email option type the email which has not been associated with any Apple id before. Select the country as the United States once you reach up to that box. Next option will be the payment page. Choose None in the payment box. Afterward, you will be asked to enter a billing address. you can search that on google. Enter a valid phone number this doesn’t need to be a US phone number you can input your own number. You will receive one-time password input it and you are done with the verification. In less than 2 minutes your account will be created and you will be having the credential of a US apple id which you can use to download any mobile application. I hope this article will help you to create a US apple id for free. Keeps following us to know more about such tips and tricks. Don’t forget to share this with your friends and family member so that they too can create an Apple ID. There is definitely a lot of hype online about what hosting is best. There are entire blog posts dedicated to comparing the best hosting services, plans, and types of hosting servers for small businesses and startups. We all know the value in having a website, as well as the value for having an optimized site too. However, when you are just launching your business or startup, it is essential to make budget decisions to ensure you have the long-term in mind. After all, the number two reason why startups fail is lack of funds, according to CB Insights. It is only second to no market for a product or service. When it comes to new websites for small businesses and startups, shared hosting is probably the best choice, unless you have a massive social media following or millions in seed funding. If you are ready to bring your business idea to the masses, here’s why shared hosting is essential. Let’s say you want to bring your business to life online this weekend. To do this, you need to purchase a domain name, WordPress website theme, and hosting plan. If you want a hosting server that is dedicated, for example, can be more challenging. The reason why shared hosting simply makes sense for new business websites is that they are very accessible. You can pretty much sign up your domain with a professional WordPress shared hosting provider and have your website up in one day, depending on the complexity of your site. This alone makes shared hosting valuable when it comes to bringing your brand, products, and/or services to market as fast as possible. For many platforms that offer hosting, you can pretty much get an end-to-end solution, from domain name to WordPress optimization tools. Another important reason why shared hosting simply makes sense for new businesses is that shared hosting is cheap. The costs associated with starting a new business can add up very fast, especially in the development stage. Why pay for an expensive hosting service if you don’t need it. Shared hosting is essentially what the name entails, “shared.” Your website will be parked on a server that has multiple websites on it. There are a lot of negatives people often point out about this, like if you are sharing a server your site performance can be poor. However, this is not the case. It really depends on two things, the professionalism and expertise of your hosting provider, and the traffic and depth of your website. A new business will have a small amount of traffic until those marketing efforts, like social media marketing, starts bringing in more potential customers. In the beginning, your website may not get a truckload of traffic. This is normal, but there will be a time when you will begin seeing a lot more traffic — a great problem to have. When this happens you may need to scale your shared hosting. This is easy and a great way to cut costs on hosting and website maintenance when starting your business. Shared hosting can be easily scaled. When you begin seeing slight dips in page load time, or if you know you are pushing your disk space limits, give your hosting provider a call. Move up to the next tier of hosting, like VPN, cloud hosting, or even a dedicated hosting plan. This will allow you to keep spend low until you absolutely need more server space. But be sure to know what is needed. For instance, you may need to manage your website a bit more. Lastly, going the shared hosting route for your new business means you don’t need a professional WordPress designer to develop your site. Most shared hosting plans offer a number of easy design website builder tools you can use to create and launch your new site with ease. This is not a very affordable benefit, but it also gives you a lot more time. Let’s face it, hiring a web designer can be annoying. You need to explain your vision, go back and forth online with the designer, and hope he or she gets your site right. That’s stressful. Instead, you can do it yourself the right way. One day or the other machine learning must have fascinated you. In today’s world, everything is moving onto artificial intelligence so you might need to upgrade yourself to enhance this skill. Machine learning can open up a whole bunch of new opportunities in this era. Its one of the most reliable language. If you are a computer science student then everything is fair enough for you in terms of learning this language. If you have got no clue from where to start for this language then don’t worry we have got you covered. In this blog, we will be talking about some sources from where you can learn this new language without any complexity. It will include the list of book, websites, and many other sources. Let’s start with the book section. Best books to learn machine learning. What follows is the list of books which should be preferred if you are a beginner. For a complete understanding of the machine learning, you should have a clear understanding of the basics. This book was written by Tom. M. Mitchel helps you to better grasp the basic of this language along with some case studies. Case studies help you to grasp the knowledge in a better way. This blog is good for those students who want to learn more about pattern recognition and statistical technique. This book is very important as this book have some basic which needs to be cover. This book is used when you have some basic knowledge about R language. Hackers will love this book as this will tell you about hacking tips through machine language. If in case you don’t prefer books and want some interactive way to learn machine language then here comes some online courses for you which will help you to learn this language in some new way. This lecture is given by the founder of google brain Andrew Ng. The 11-week course consists of deep learning and neural network prior to machine learning. This course has two option to access. If you want to have full access then it will be a paid version otherwise for basic its free. This course is a 12-week course given available on edX. It’s a free version where you can easily complete all the exercises and assignment. After you are done with your learning you can move ahead with the certificate part which is paid. This course offers more algorithm then anyone else with workflow also. Hence this can be a great place to learn machine language and give it a headstart. If you are not a big fan of mathematics and finding it hard to understand just because your background in mathematics was quite weak then this course is made for you. As the course name suggests with the help of this course you will almost cover all the topics with machine learning and guess what you will be given free templates of python and R language which you can use in your one of the project. Ready For Tesla Model 3?